We are a well-known Manufacturer, Exporter & Supplier of Perforated Metal Sheets in Delhi. The robust and strong Perforated Metal Sheets are available in various sizes and in dimensions. 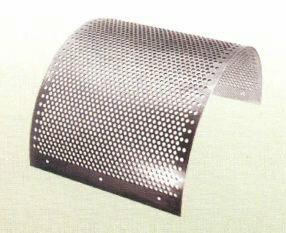 The Perforated Metal Sheets are manufactured from the premium quality raw materials under the guidance of experts. This Perforated Metal Sheet is the perfect fusion of impeccable quality and brilliant performance. The anti abrasive nature, high authenticity and long lasting life of the Perforated Metal Sheets make them highly popular among the various industries. We use either SAIL or Tata or Essar brand MS Plates with guaranteed and precise thickness as well as size. the Prices mentioned above are subject to change as per the market. The Plates are made on Power Press(Fully Automatic).